Offshore jurisdictions and QROPS- Where to go? More and more British expatriates are opting for QROPS, Qualifying Recognised Offshore Pension Scheme, as a means of taking their UK pension abroad and in turn gaining a number of bonuses. There are a number of reasons why QROPS are rapidly growing in popularity amongst the expat community. Despite big tax benefits being the major draw, QROPS also give their holders great flexibility and control over their pension pot. A QROPS does not have to be in your new country, it just has to be in a recognised offshore jurisdiction. A number of destinations offer QROPS but which is the best? Let us take a look at the pros and cons of the main locations. The Isle of Man is close to the United Kingdom and therefore can be seen as an easy option for the UK expatriate, but is transferring your pension there actually a wise move? Well, despite the close location, the Isle of Man is currently in a limbo-like state with regards to QROPS. The problem with the Isle of Man lies ultimately with HMRC. At the moment Manx QROPS providers are not exactly clear as to how they can do business, as HMRC is in the midst of reviewing the Isle of Man’s QROPS-supplying status. Remember, without HMRC’s blessing a QROPS cannot go ahead. This HMRC review means that people who have applied for Manx QROPS must wait for the assessment to be completed before they learn if their QROPS will be registered or not. Frustratingly, HMRC has not given any reasons for the review or even a time-scale for completion. Recently New Zealand has also proved to be a location of choice for those interested in QROPS, however it looks as if that is set to change dramatically. Southern Star, the company that provides New Zealand QROPS, has just announced that it will soon cease to offer QROPS and will instead focus specifically on local pensions. This is believe to be because the New Zealand pension regulator, Government Actuary, are thought to be against UK pensions being transferred into the country. Thus the GA lent on Southern Star and now QROPS and New Zealand appears to be a unison of the past. Hong Kong is another location that has recently suffered QROPS revelations. HMRC have been looking into a number of QROPS providers who falsely offered their schemes under the pretence that HMRC had approved them. Also, a situation came about that saw what HMRC described as a ‘loophole’ being closed. Previously, a special double tax treaty allowed UK expat to transfer into Hong Kong QROPS and pay very low rates of tax, however HMRC have now put an end to this. What this suggests is that finding the perfect QROPS jurisdiction is not as easy as it seems. However, there is one jurisdiction that is leading the way- Guernsey. It was recently announced that the Guernsey Association of Pension Providers has finalised and published its final QROPS code of practice. The code was submitted to pension industry bigwigs earlier this year now it has been formally put into place by the pensions association. In fact, no other jurisdiction has such a code, which lands weight to the argument that Guernsey is the best and safest place to have a QROPS. Guernsey also has the honour of recently being given special commendation by the Global Finances Centres Index. They acknowledged Guernsey for making great strides in creating awareness for offshore finances, and also for being highly regarded by finance professionals. 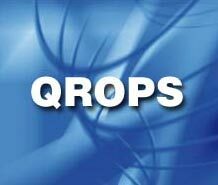 With all those factors in mind it is clear that Guernsey is indeed the QROPS location of choice. To find out more about QROPS and offshore finance in Guernsey, speak to a recommended financial planner today.